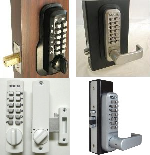 Lockey USA Manufactures The Finest Keyless Locks in the World. 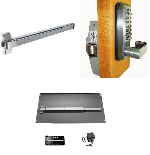 Our Success Prompted The Development Of A Full Line Of Panic Bars, Hydraulic Gate Closers, And Cabinet / Locker Locks, All Keyless. Many Of Our Products Work Together To Give You A Custom Solution To Your Keyless Access Requirements. Lockey Keyless Mechanical Door Locks. No Batteries or Wires. Perfect for Doors and Gates. Residental or Commercial. 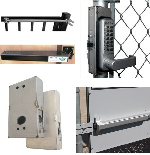 Lockey Hydraulic Gate Closers, Keyless Locks, Gate Boxes, Panic Shield Kits and More. Lockey Panic Bars Turn Doors or Gates into Emergency Exits. Keyless Panic Bar Locks and Trim Available Also Full Kits. 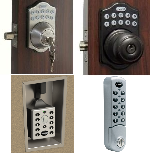 Lockey Electronic Locks-Electronic Deadbolts, Knob and Lever Locks, Electronic Cabinet and Locker Cam Locks.